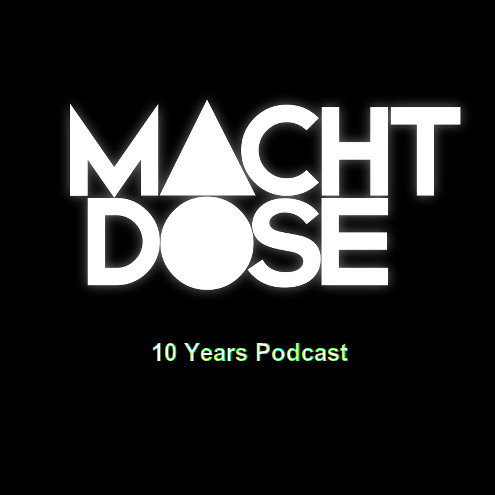 10 years ago we’ve started our podcast, so it’s time to celebrate (which I do in three different posts)! I’ve packed 22 tracks we’ve presented in these last years into one compilation. It’s no „Best-of“ – as it is impossible to pick out the „best“ from a corpus of nearly 2,000 tracks that we played in these 116 podcast episodes so far (we also had additionally some extras, but later about them). Of course all the tracks of this compilation are favorites of mine in one way or another, but more importantly I wanted to show with this retrospective what I try every time in every single episode: to find a good mix of music that has a specific quality in common but shows at the same time a wide variety of styles / genres / sounds etc. So hopefully this collection is a representative sample what the Machtdose Podcast was and will be. ich weiß dass da jeden Monat ganz viel Arbeit dahinter steckt. Vielen herzlichen Dank dafür.